Have you ever had that feeling that you are being pushed to the limits in your business? Of knowing you are on the verge of complete overwhelm while simultaneously wanting and needing to grow your business financially? Many of us have been there and those feelings of overwhelm can become paralyzing. To know you need to push forward while also worrying that doing so will be the thing that pushes you right over the edge can leave you feeling helpless and stuck. I am often asked how to handle this scenario. How do you push forward without self-destructing? There are a few key steps that you can take that will help you to regain control so that you can grow your business. The first thing I recommend is to simply do a “brain dump”. The process is key in getting all the details out of your head and freeing up the space to focus on moving forward. When starting a big project – This is when you document all of the tasks that need to be done, including all of the deadlines you need to reach, all the tools you will need, and any questions or research that you may need to address. If you have multiple projects going at once, this first step is especially important to keep from overlooking steps along the way. When feeling overwhelmed – When stress is high and you are feeling overwhelmed, grab a notebook and literally write down everything that is on your mind. This includes any projects you are working on, any stress points or concerns, even your grocery list. Write down everything; big, small, personal or professional. Do not worry about neatness, grammar, or order. The point is to move the information that is in your head out of your head. This second type of brain dump is the one we are going to focus on because, let’s be honest, work isn’t always the only thing on our mind. Thoughts about bills, housework, schedules, even upcoming events or dinner can clutter our heads, leaving us distracted and stressed. We often have days where 100 different things may be running through our minds, all at once. By getting it all out of your head and down on paper, you can begin to identify, sort and process each item. You may find it helpful to group like items together (ex: home, work, family, project type, client, etc.) and then to prioritize them accordingly. This task alone can help clarify what needs to be done and give you the mental space to move forward, feeling like a weight has been lifted. I like to take some quiet time to do a brain dump, writing anything that comes to mind and often coming back to it or adding to it periodically. Once I have taken the time to get as much out of my head as I can, I create task (or to-do) lists. I find it easiest to set up lists according to the next action. For example, if I need to call Suzy to discuss our latest project or call to schedule a doctor appointment, those tasks go on my Phone Call list. Picking up mail, returning an item to a store, or dropping off dry cleaning would go to my errands lists. I also create lists for each individual client or project that I am working on. Creating task lists according to the next action allows me to be more productive by batching tasks. It also allows me to keep tasks organized going forward by adding to the appropriate list as tasks come up. Going through each item on your list, ask yourself what the next actionable step is related to each thing on your list. Now that you have organized your thoughts and your lists, you can systematically get to work! Once you have your task lists, you can look at the work you need to get done and schedule it accordingly. Regular tasks may become a part of your ideal day calendar. I like to set specific days for errands, schedule time for house chores, and set aside specific blocks of time for client work. Batching these tasks allow me to focus on just those tasks and avoid being distracted by my always growing to-do list. Phone calls are a great example of why batching tasks is important. Whether it’s business-related or personal, if I schedule a time for calls, I can get through them easily without being distracted by the other things on my plate. I avoid making phone calls outside of this scheduled time. It’s especially important for follow-up or marketing calls which require full attention. These calls can cause anxiety, especially when they are rushed, which is why many tend to avoid them entirely. However, by setting aside time dedicated to these calls exclusively, they become a priority. Additionally, many people report that once they get through that first call, they begin to build momentum and find that subsequent calls are more successful. Now we’re going to drill down even further into tackling the tasks on our list. Do It: Anything that is going to take two minutes or less to complete should be done by you. I often have clients who ask me how I decide if I am going to do a task or assign it to someone else. This is a golden rule for me – if it takes 2 minutes to complete and get off my plate, I do it. Assigning it to someone else will take more of MY time than it is worth and deferring it to later only means it will continue to linger. Delegate It: Assign the task to someone else, whether it be someone on your team or a member of your family. Delegating frees you up to work on more pressing matters or projects that require your individual attention. Defer It: Set a time to work on this task later. This can be done in your project management system or placed on your calendar depending on preference. Deferring is not the same as procrastinating. Procrastinating is deciding to do a task eventually. Deferring requires you to schedule the time when the task will be completed. So how do you decide what to start with? I always suggest you tackle the task with the biggest return. When working with a new client, we always look at what is closest to the money first. Often these tasks are the focus for our first 30 days together. The whole point is to create a financially viable business and tasks that can derail that plan should be a priority. When working on personal or home tasks, you can look at what gives you the most satisfaction or will have the biggest impact. Another way that you can approach your task list is by identifying what tasks can be done quickly. Look at the tasks that can be done in 5 minutes or less. This could include email replies, phone calls, filing, clearing your desk, putting outgoing mail in the mailbox, etc. This is an effective method if you have many small daily tasks causing you overwhelm. By eliminating these outstanding tasks, you free up your focus for the larger tasks and projects that demand your full attention. One word of caution – this method should NOT be used as a way to procrastinate working on more important and vital tasks. 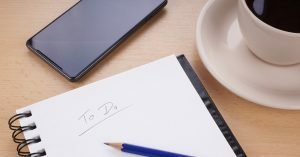 If you find that you are spending too much time on these small daily tasks, I can help you to create better ways to manage them. Use the contact link above to set up a time for us to talk about your specific situation! For larger projects, consider using a project management tool like Teamwork to organize each step, assign due dates, and delegate tasks. (Yes, that is an affiliate link – I only promote what I use and love). I consider Teamwork my virtual office where I can communicate with my team, store important details about projects, and have a visual of each step of any project. If you are still feeling unproductive, it may be time to Consider doing a time audit. Periodically, I like to check in with myself by doing a time audit. By tracking what you are doing for a week straight (every ½ hour or hour) you will see a pattern. The time audit will show you where you can chunk activities, where you have the potential to delegate other activities and where you may have time wasters in your day. You will also see where you have room for improvement by structuring your work or your time better. I used to say that I did my best work under pressure but the truth is that this may just be a method of procrastinating. Some people claim to feed off of the adrenaline of procrastination but, for others, it can be a sign of overwhelm and/or bad time management. 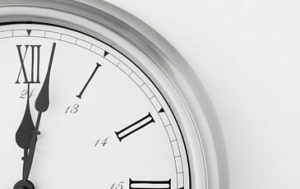 If you recognize that time management is an issue, consider reading The 12 Week Year by Brian P. Moran and Michael Lennington or The Miracle Morning by Hal Elrod. By adjusting your time management mindset you can create a better workflow for your day. No more waiting until the last minute to complete tasks. Instead, set earlier deadlines and stick to them. Allow time for the unexpected. The most important thing to remember about regaining control is to stick to what works for you. If you get complacent, the control you gain could easily be lost. Once you regain control, your mission is to maintain the order that you have created. How we think we spend our time and how we are truly spending our time, can be two very different things. When we have a good understanding of where we spend our time and how much time is used for each task, we can begin the work to use our time more effectively. I want the free workbook! I just done with brain dump, then I wrote my all tasks and divide in chuncks. Like persona, my job work , my outsourcing work and my clients work . Now I have a clear way to go and work accordingly from tomorrow. That sounds great Farah. Let us know how it goes as you work through your time chunks tomorrow!